Paul Kari was born in 1935 in Columbus, Ohio. He was commissioned through the Air Force ROTC program at Ohio State University on June 13, 1958, and went on active duty beginning July 19, 1958. Lt Kari completed Undergraduate Pilot Training and was awarded his pilot wings at Laredo AFB, Texas, in September 1959, and then completed F-100 Super Sabre Combat Crew Training in July 1960. His first assignment was as an F-100 pilot with the 417th Tactical Fighter Squadron (TFS) at Ramstein AB, West Germany, from September 1960 to September 1964, followed by service flying the F-4 Phantom II with the 45th TFS at MacDill AFB, Florida, from September 1964 to April 1965. 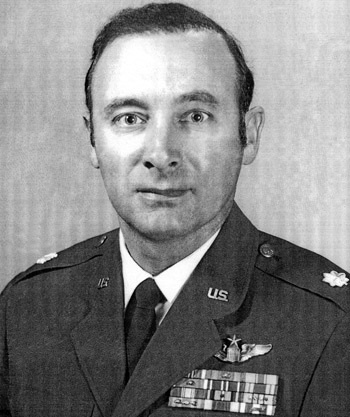 Capt Kari then deployed with the 45th TFS to Ubon Royal Thai AFB, Thailand, where he flew 64 combat missions before being forced to eject over North Vietnam and taken as a Prisoner of War on June 20, 1965. He flew the first F-4 mission in Southeast Asia, and was flying the first F-4 to be shot down during the war. After spending 2,795 days in captivity, Maj Kari was released on February 12, 1973. He was briefly hospitalized to recover from his injuries at Maxwell AFB, Alabama, and then served as an instructor at the U.S. Air Force Academy in Colorado Springs, Colorado, from September 1973 until he was medically retired from the Air Force on November 11, 1974. This officer distinguished himself by conspicuous gallantry in military operations against an opposing armed force while a captive in North Vietnam. While Major Kari was temporarily being held in a cave, he realized that enemy troops were attempting to decoy United States Air Force Search and Rescue aircraft into the area. Seizing the opportunity, he was able to fool the enemy and gain access to the survival radio which was being used. He attempted to smash it, then threw it into a well. He was clubbed with rifle butts and severely injured. This courageous aggressive act destroyed the decoy play and enabled rescue aircraft to pick up Major Kari's crewman. 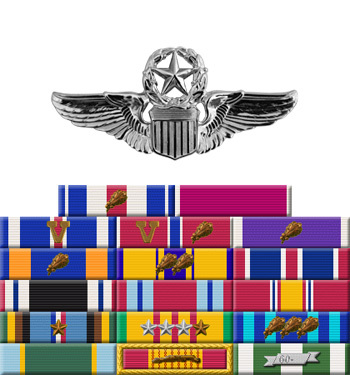 By his gallantry and devotion to duty, Major Kari reflected great credit upon himself and the United States Air Force.